There has been another mass murder school shooting, this time Friday in Santa Fe, Texas. 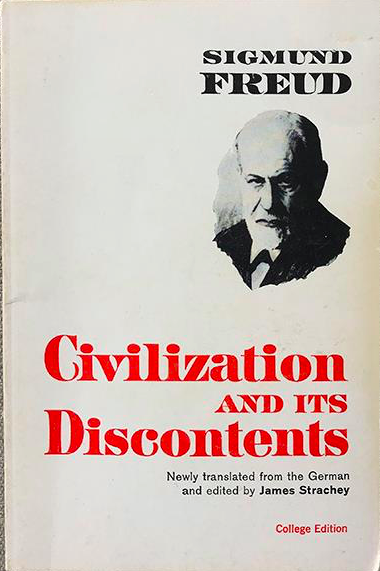 Not long ago,m I wrote down some thoughts and an extract from the 92-page book “Civilization and Its Discontents” by the Austrian neurologist and writer Sigmund Freud (1856-1939). It was completed during the rise of Adolf Hitler, and among other insights the book anticipated the horrors of World War II. I first read the book in the 1960s as a college student. I happened upon a copy the other day and was struck again by Freud’s realistic view of human behavior. In my opinion, Freud was correct and little has changed. The state-sponsored mass destruction of humans continues around the world. Closer to home, active shooter mass killings are regular occurrences in the U.S. And nearly every day, most of us hear of horrific individual murders in our own cities big and small. Of course, Freud was generalizing. The world then and now is occupied by mostly good and humane people. And yet one can’t deny that humanity has an evil side that constantly manifests itself. Today’s psychologists disagree with some of Freud’s theories, but agree that he got the evil part right.